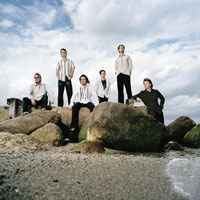 Runrig are a Scottish Celtic rock group formed in Skye in 1973. Since its inception the band's line-up has included songwriters Rory Macdonald and Calum Macdonald. The current line-up also includes longtime members Malcolm Jones, Iain Bayne, and more recently, Bruce Guthro, and Brian Hurren. To date the band have released fourteen studio albums, with a number of their songs sung in Scottish Gaelic.